Since I cannot knit, I have been busy spinning away. 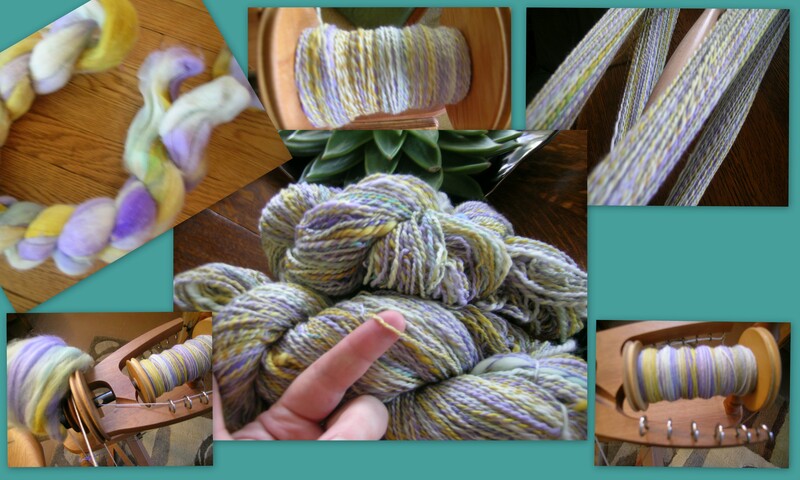 I finished spinning and plying the Gypsy Girl Creations Merino Wool, 8.4 oz; Colorway: Iris. There were a lot of nibs in the roving, I am not sure that I would try this brand again. I do love the colors. And, if I do say so myself, I am getting better with each skein. 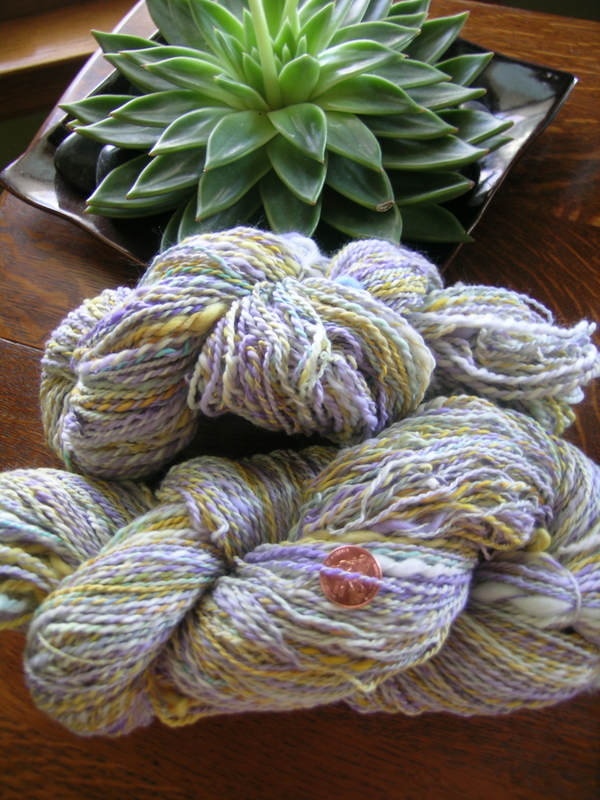 There are a few lumpier areas in this skein, but less so each time. Thanks to everyone for the well wishes for my thumb. It is taking quite awhile to heal, the infection was deep. The spinning is very relaxing, and my left thumb has little work to do. Plus, it is giving me more yarn to knit eventually. I do miss my needles though.